On this blog I've written about past incidents on airplanes concerning presumed breaches of airline security when Jewish passengers began to put on tefillin (black leather straps and black boxes known as phylacteries). Like many others I criticized the airlines and Transportation Security Administration (TSA) for not educating flight crews that these were necessary parts of Jewish prayer garb and therefore permissible on planes and in airports. 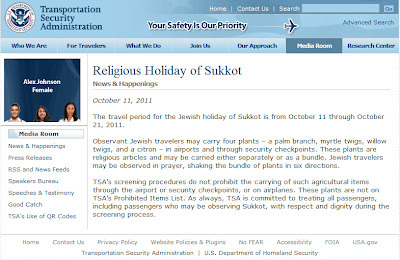 Therefore, I feel it is important to now praise the TSA for its recent notification to all employees concerning the prayer accoutrements that might have been seen in airports and on airplanes during the Sukkot holiday. The TSA's alert stated that "Observant Jewish travelers may carry four plants – a palm branch, myrtle twigs, willow twigs, and a citron – in airports and through security checkpoints. These plants are religious articles and may be carried either separately or as a bundle. Jewish travelers may be observed in prayer, shaking the bundle of plants in six directions." It concluded that "TSA’s screening procedures do not prohibit the carrying of such agricultural items through the airport or security checkpoints, or on airplanes. These plants are not on TSA’s Prohibited Items List. 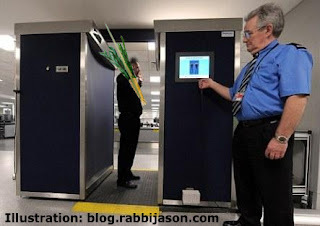 As always, TSA is committed to treating all passengers, including passengers who may be observing Sukkot, with respect and dignity during the screening process." Very nice. I hope the TSA remembers to issue this directive in future years as well. 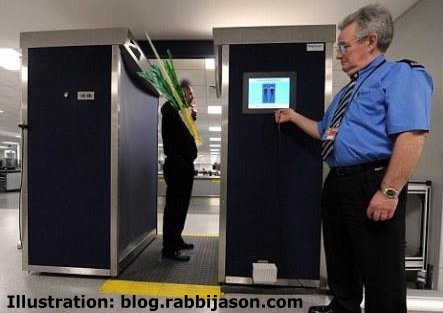 So, it seems that Jewish travelers are now free to carry and shake their lulavs through airports and in airplanes (not during takeoff and landing please) without fear of being interrogated, breaching security measures, or being responsible for an emergency landing. As for bringing your kid's plastic sword on board an airplane during Purim... don't push it! How about an x-ray showing the heard, spine, eyes, and mouth when they scan the bundle?